Banks and Savings and Loan Associations and arrange to have funds transferred to an affiliate or recommended bank in the area. Memberships in Organizations and Professional Associations. Credit in your new area by asking your local credit bureau to send your rating to one located here. Communication with utility companies to assure there will be no delay in obtaining service. Defrost refrigerator and freezer 24 hours before leaving: use a few pieces of charcoal to reduce odors. Collect items that you have loaned, had cleaned, stored or repaired. Arrange for transportation of pets if you plan to send them via air or railway express; consider boarding them while you settle into your new home. Have reliable servicemen prepare your appliances for shipment; consider buying a new TV antenna rather than dismantling and moving our old one, even if your sales agreement permits. 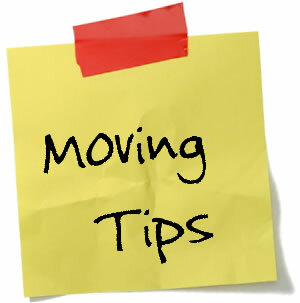 Review moving plans with your moving company representative; insurance for packing and unpacking; arrival date; payment agreement; shipping papers. Leave your address in a conspicuous place so that new occupants can forward any mail inadvertently delivered to you old address or send change of address to local post office. Prepare "survival" kit for use upon arriving in your new home; light bulbs, bathroom articles, small tool kit, linen, flashlight, instant coffee, paper plates and cups, etc. Obtain a new drivers license. Check area for car inspection and registration requirements. Visit the city and county office and register to vote.